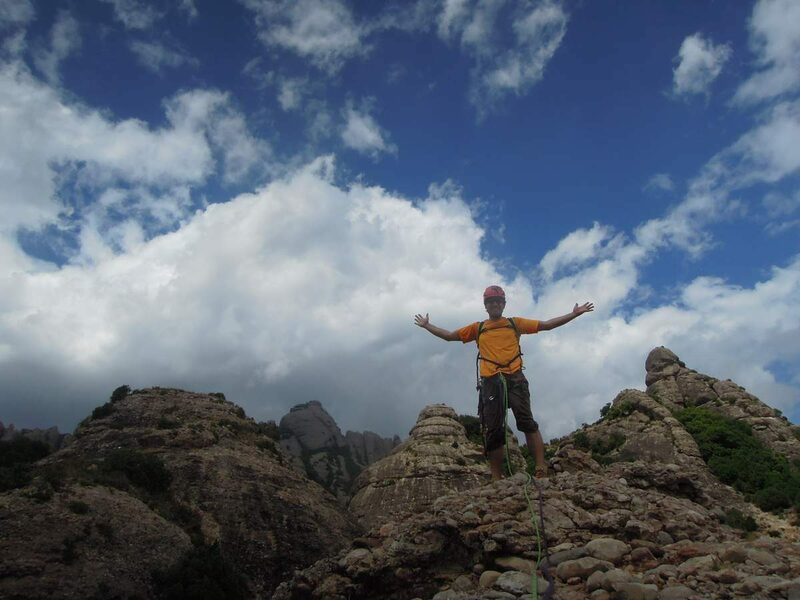 We offer you a certified mountain guide and rock climbing instructor to enjoy a guided rock climbing trip near Barcelona: Montserrat, Montgrony, Siurana, Margalef… All the activities are perfectly possible in a day-trip from Barcelona. We provide all the technical material (individual and collective). We can pick you up in any Barcelona address. We will climb according your climbing level. 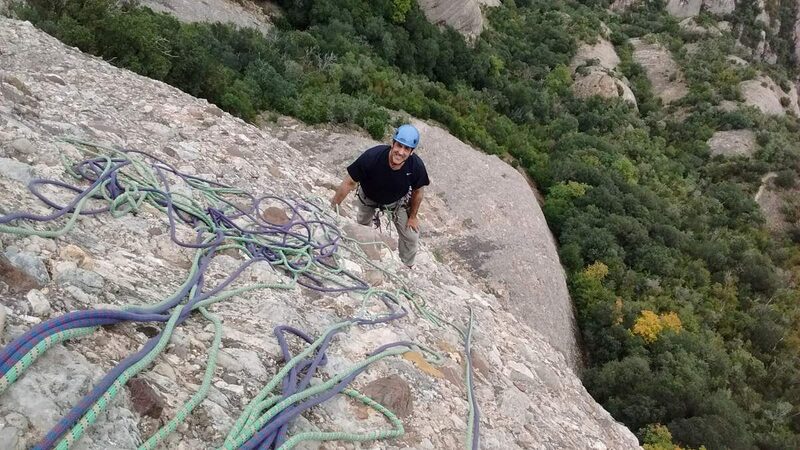 There are options of 1 or several-day trips, whether you’re a first-timer or seasoned climber. There are hundreds of routes waiting for you. 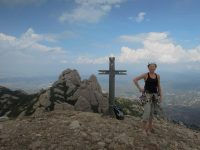 The mountain of Montserrat is probably the world’s most famous conglomerate rock climbing destinations, and it is only 50 kilometers far from Barcelona, the capital city of Catalonia, Spain. There are thousands of rock climbing routes of all lengths, orientations and styles, big walls, needles, and there are numerous sport climbing crags, too. Barcelona has nice weather, vibrant nightlife, beaches and architecture. But Barcelona is a good rock climbing trip too, as some top class rock climbing spots can be reached by car in half an hour. 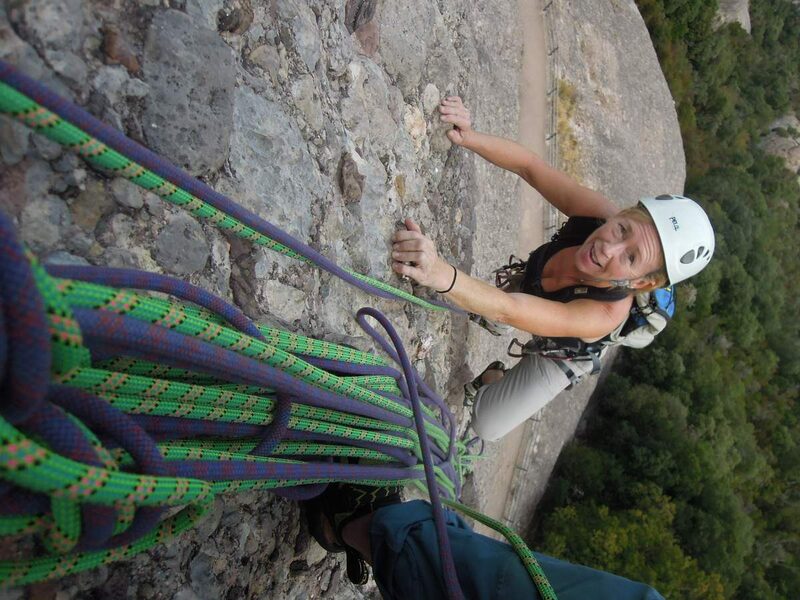 You can choose 1 day sport climbing or 1 day multipitch climbing from 45€/person (4 persons). 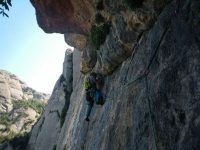 The bests and the most famous crags are in Tarragona. The beautiful and wild landscape, the proximity to Barcelona and the vast choice of other world-class crags (Margalef, Montsant…) render Siurana an ideal holiday destination. 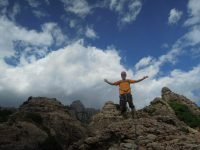 We can arrange you 2 days rock climbing trip there. 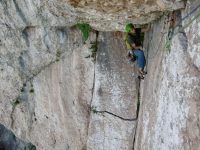 Via ferrata was “invented” to help warfare activities in the Alps during the two World Wars and in recent years have become one of the most popular of all so-called extreme sports. 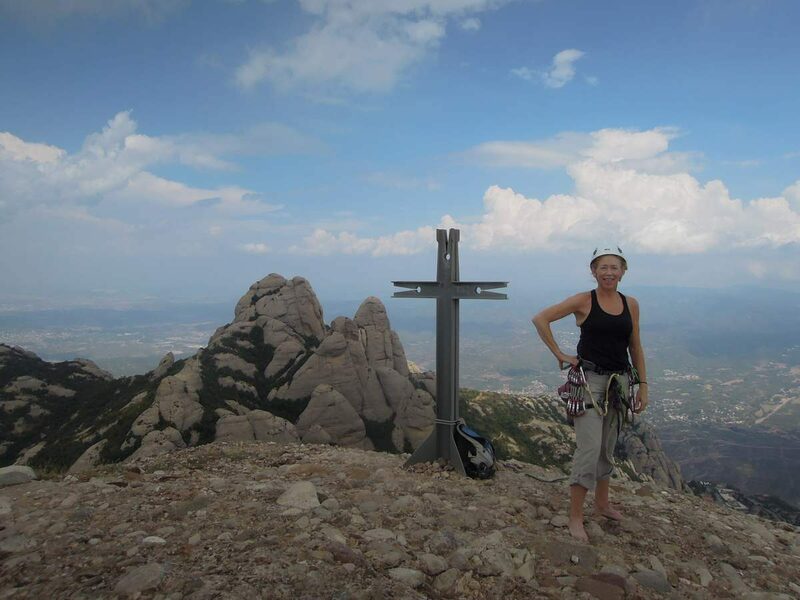 There are many via ferrada in Montserrat you can enjoy.